A queen attacks another one if they are in the same row, column, or diagonal. 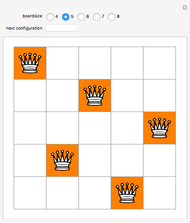 Place eight queens on a chessboard such that no queen is under attack. 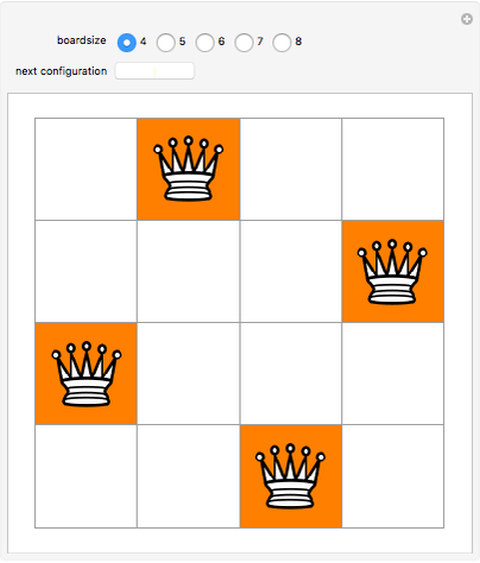 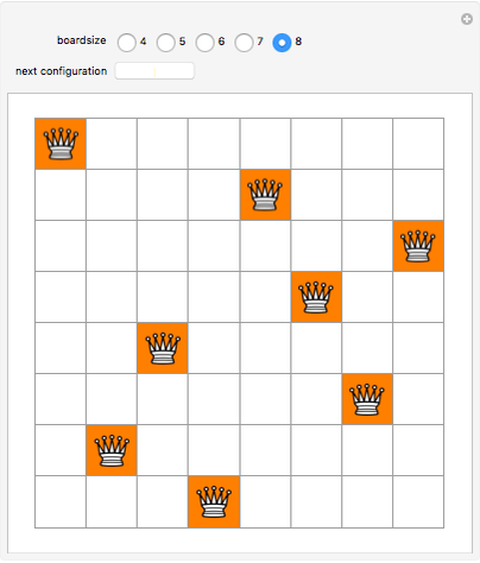 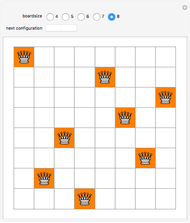 Vary the size of the chess board and click the button to see different arrangements of the queens. Oleksandr Pavlyk "Eight Queens Puzzle"